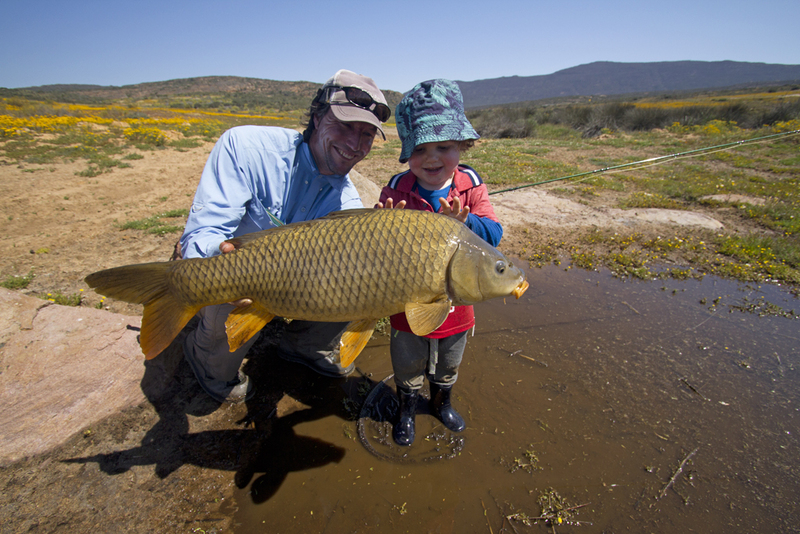 This is a follow-up post on Dubious Distinctions, going into more detail about how I catch carp on fly in the Western Cape. 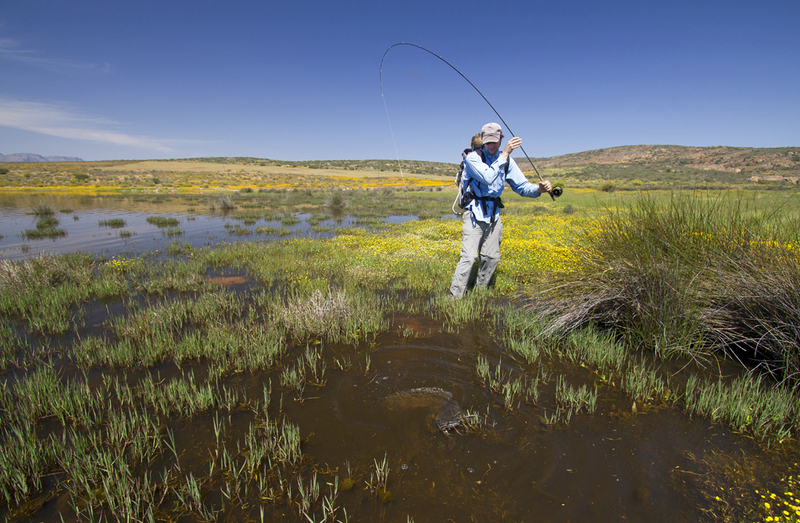 I put emphasis on the Western Cape as carp seem to be a lot more reserved, generally taking smaller patterns, in the waters of this province. 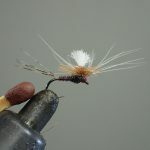 This is as technical as I go in terms of fly tying and selection for these fish; all the flies that will be discussed in this post and the next two are based on variations of the Zulu fly. 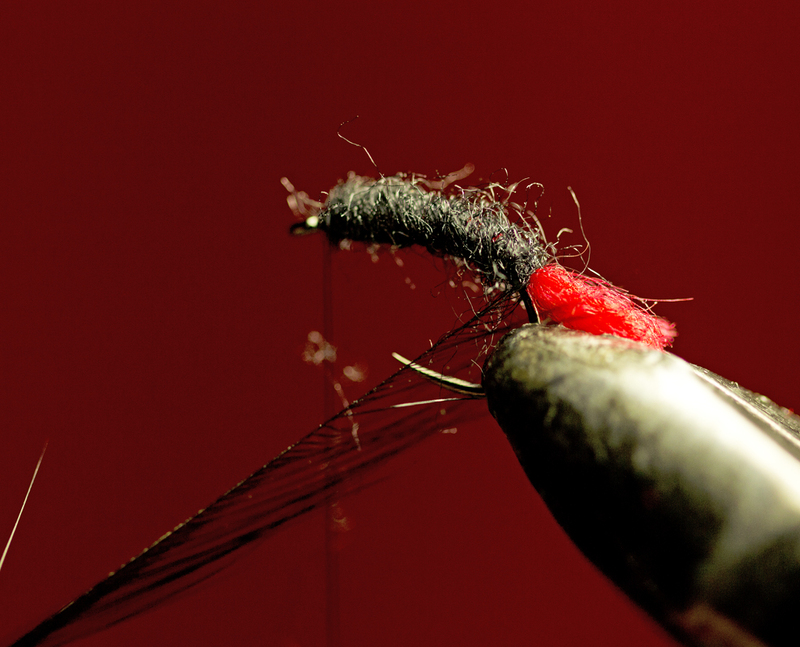 Although the Zulu was designed in the UK and primarily used as a dapping fly for trout in loughs, it works exceptionally well for carp in South Africa – when I joined the competitive art lure scene in about 1997, I was taught that a dipped Zulu fly or a ‘loodkoppie’ tied with black and red materials (based on the Zulu’s colour scheme) were the best ‘lure’ options for catching carp in the competitions. 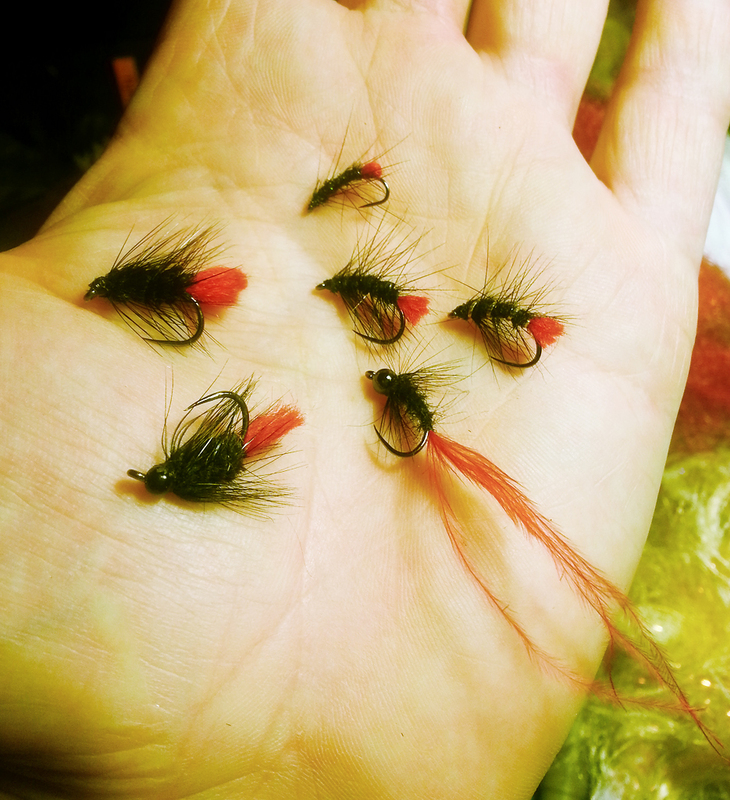 Interestingly, when my family visited a trout farm in the Gauteng area when I was five years old and I asked the man behind the till what the best general pattern was for trout in their stocked dams, he (after thinking deeply about my question) handed me a packet of neatly tied ‘Black Zulu’ flies…So this pattern obviously also works well for trout across the globe. A good stillwater carp caught on the heavily hackle’d Zulu version in shallow water. As mentioned previously there is great contrast between the black body and classic, blood red wool tail of the Zulu and it arouses great interest from carp. 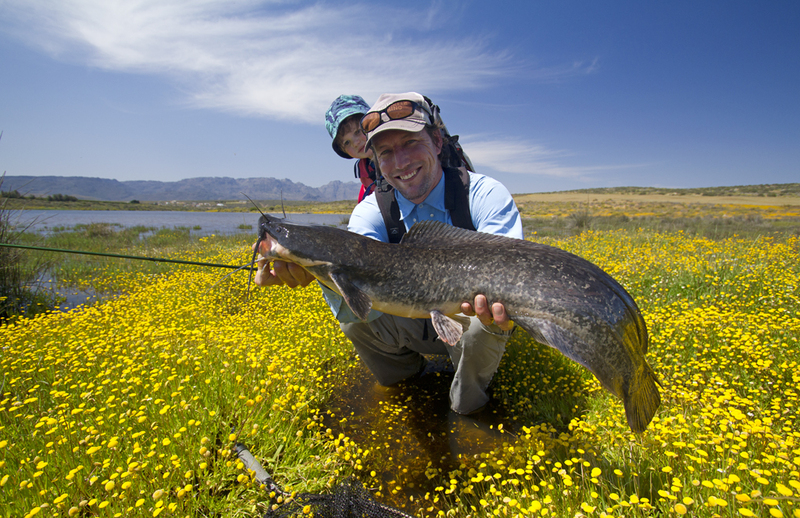 I have also caught carp across South Africa in rivers and dams on this fly and have found it to work particularly well for me in the Cape (note that our Cape carp live in temperate waters and are mostly not exposed to high numbers of crustaceans, but rather feed on small aquatic invertebrates and especially like ‘grubbing’ in the silt or mud for a meal). Hence my focus on this pattern. 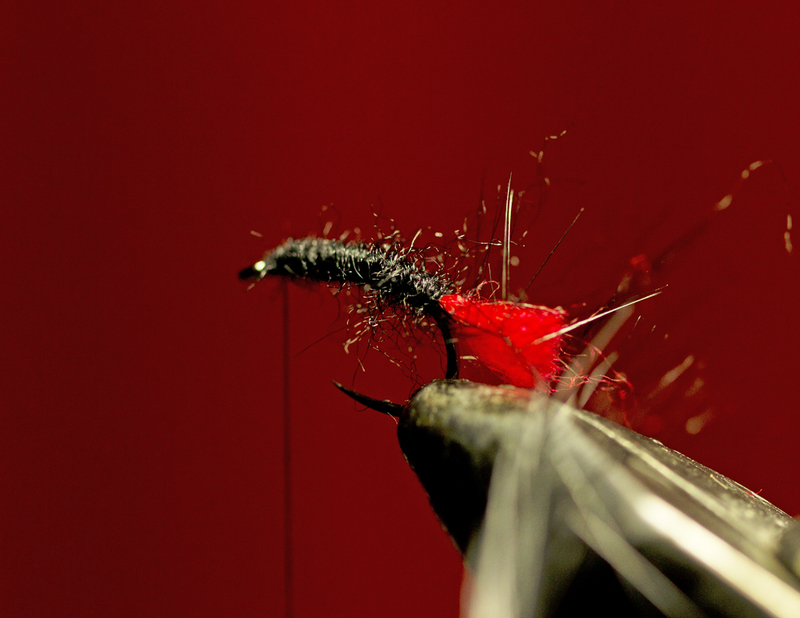 The hook of choice for the pattern I describe here is the Dohiku #12 wet fly hook (type 644), which is just thick and strong enough to hold a big fish on 3X tippet and also just heavy enough to drown the hackle’d fly and make it sink fairly slowly. 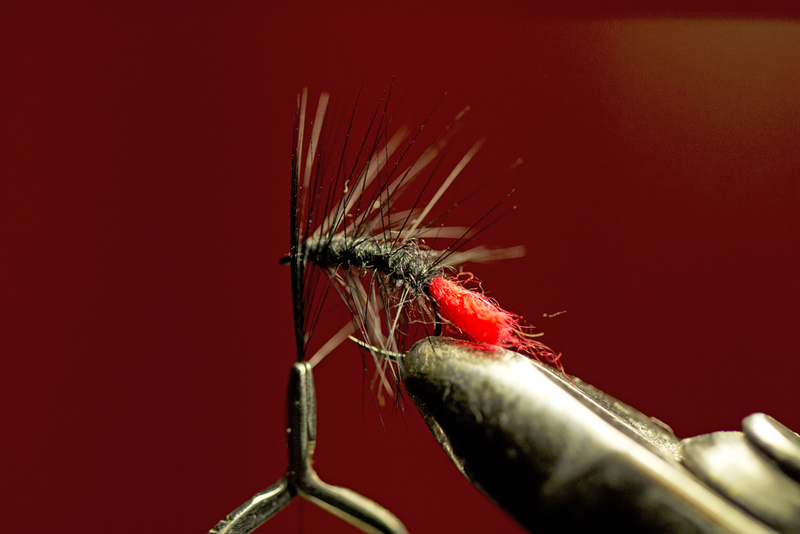 The sink rate is what I’d like to focus on here because I vary the speed at which this fly sinks to the bottom with the combination of the weight of this hook and dense to sparse hackle. 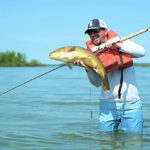 Catfish basking in shallow water can also be sight-fished with any of these Zulu versions. 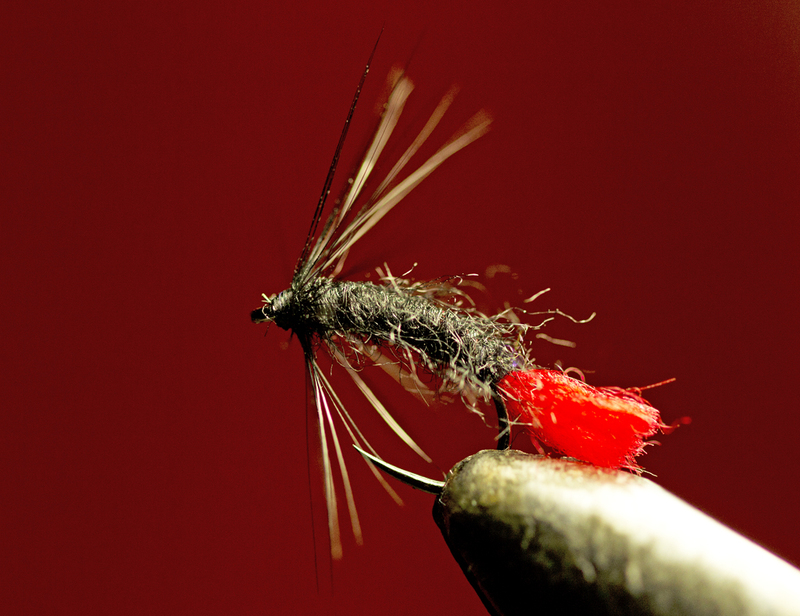 I have primarily three versions of this fly tied without black chenille and a bead; one is a heavily hackle’d version palmered with a standard black hackle feather – this is a great fly for casting to or dipping carp feeding in shallow water (<1 m) or near the surface amongst weed beds; another is palmered with a hackle feather that’s stripped on one side, increasing the sink rate slightly – this version is ideal to get down to fish in a gentle current or visibly feeding in water deeper than a meter; and lastly a version with only a palmered hackle collar – the perfect fly for dipping carp in shallow, windless conditions. 1. 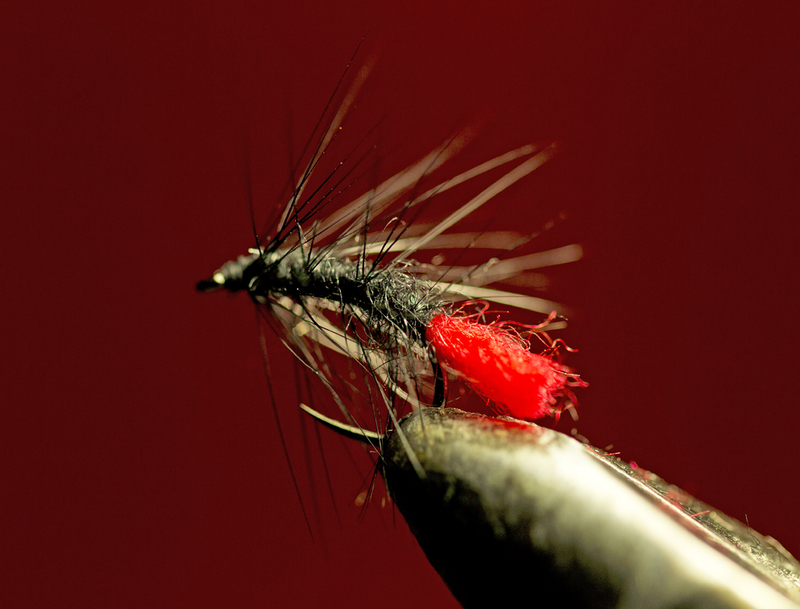 All the versions of this fly start with a red wool tail and a thin body of black synthetic dubbing – here a standard hackle has been tied in at its tip, shiny side facing away from the hook. 2. 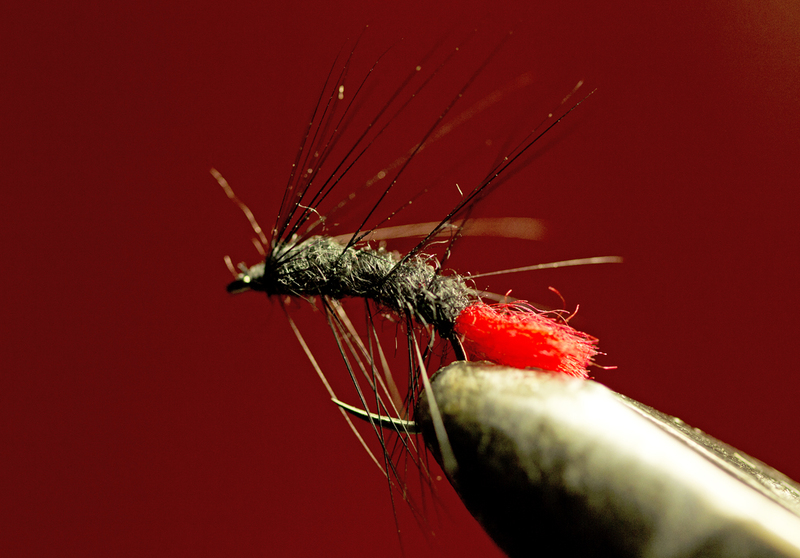 The standard black hackle feather is palmered to create a fairly densely hackle’d fly that will sink slowly. 3. The finished product of version 1 – perfect for casting to carp feeding in shallow water less than a meter deep (brush the hackle fibres back with your fingers). 4. Same as in figure 1 above, however with one side of the hackle feather stripped to create a sparser version. 5. A slightly sparser Zulu is created that will also sink slightly faster than the 1st version. 6. Finally, the last version tied only with a hackled collar, ideal for dipping carp in shallow water when the South Easterly wind is not blowing your cap off. Thanks for sharing these Len.. definitely need to fill a few rows in the Carp box with some of these..